Forgot to keep turmeric powder on the picture. Take a mixing bowl add bengal gram flour, shallots, all spice powders, salt and enough water to make semi thick batter like the dosa batter consistency. Heat dosa pan, pour 1 laddle of batter and spread to make dosa n drizzle with oil and cover with lid for one minute on low flame. Now add one ladle of besan flour mixture over the dosa and drizzle some oil and let it cook for one minute and flip it with care to not broken. Cook it for other 1 minute on medium flame and take it from the tawa. VERY YUMMY N SOFT REPLICA EGG DOSA!!! Check out my other Dosa Varities!!! wow delicious dosa dear !!! 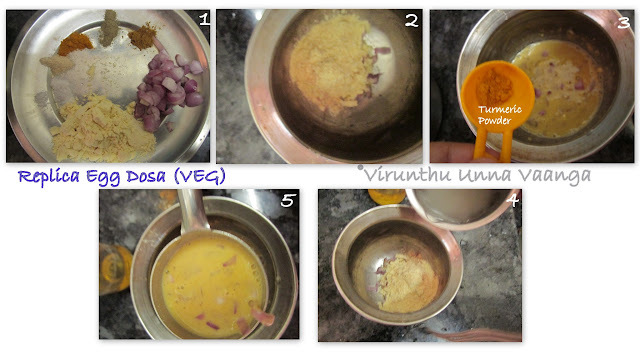 nice twist in dosa, i do this with paratha. 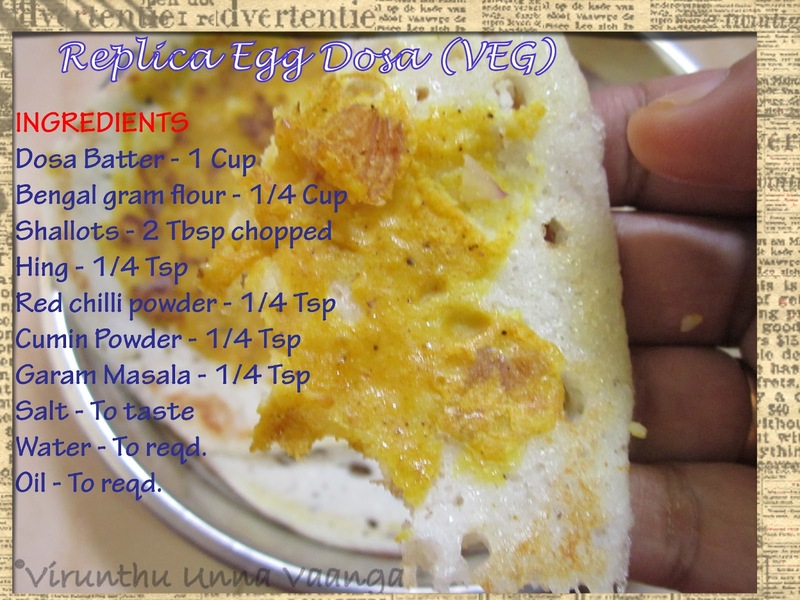 Loving ur fake egg dosa, superaa irruku sis, never had a chance to give a try,now cant wait to make some. Looks same as egg dosa..creative innovation.. Very innovative dear, the dosa looks super..
why dont u write a cookbook viji :) u are full of innovation.. Different and inviting. Must try. 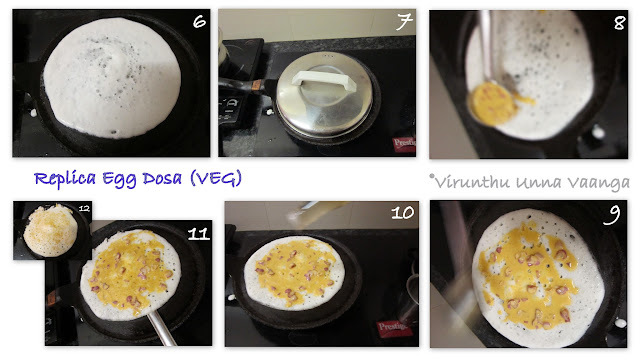 Very interesting dosa dear, yummy and must be delicious.